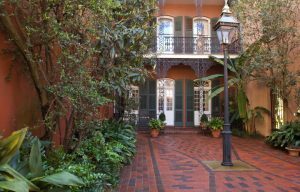 The Patio Planters of the Vieux Carré opens magnificent courtyards of the French Quarter for a special weekend tour on October 13 and 14. This highly anticipated event offers the allure of private and historic gardens otherwise closed to the public. The self-guided walking tour reveals how garden designers take advantage of small spaces, and provides access to the cool and private hideaways suited to the Louisiana climate in styles of early Spanish and French architecture. Several courtyards will be opened in different locations each day for a self-guided walking tour between the hours of 12:00 noon and 4:00 p.m. Tickets are $20 each (children under 12 free). Online tickets will go on sale approximately one (1) month prior to the event. Additionally, day of tour tickets will be available at Creole Delicacies, 533 St. Ann Street (at Jackson Square) and French Quarter Gem & Lapidary, 527 St. Philip Street (near Decatur), 1-888-756-6250. What’s Special About The Secret Gardens Tour? The Secret Gardens tour is very special because it includes access to gardens that few of the public, including locals, ever get to see. An aerial view of the French Quarter reveals the never-seen cavities and alleyways that make the Vieux Carré so unique. The tour will reveal the many lush, semi-tropical courtyards found in these cavities and show how masterfully garden designers take advantage of small spaces. The miniaturized courtyards were cool and private hideaways that suited the Louisiana climate and the styles of the early Spanish, French, and later Creole architecture. 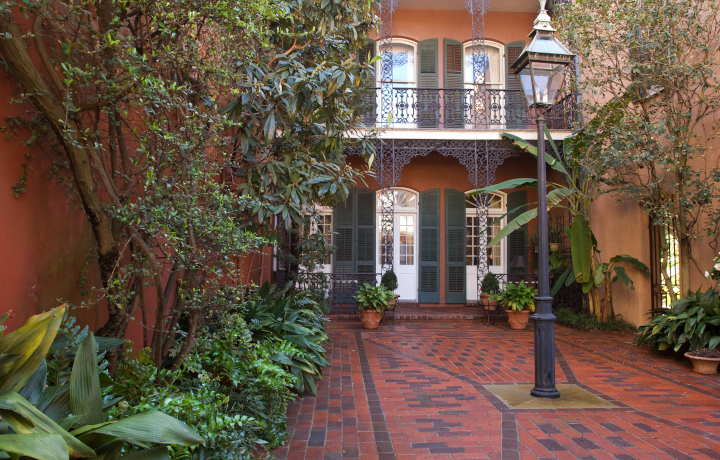 The Patio Planters du Vieux Carré, the venerable French Quarter garden society which hosts these private courtyard tours, was established to preserve the qualities of these “secret gardens” and is very protective of their condition. Access is limited, and only small numbers may visit at any one time in order to prevent damage through human impact.